Kevin McAvoy was let down by the Portland defense. 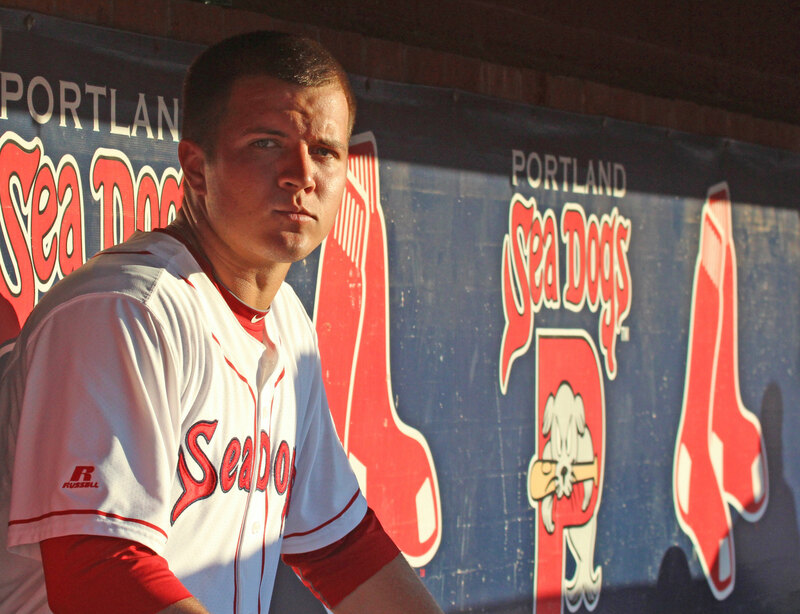 (Portland ME) The Sea Dogs’ Kevin McAvoy picked a bad night to be pitching. Why? 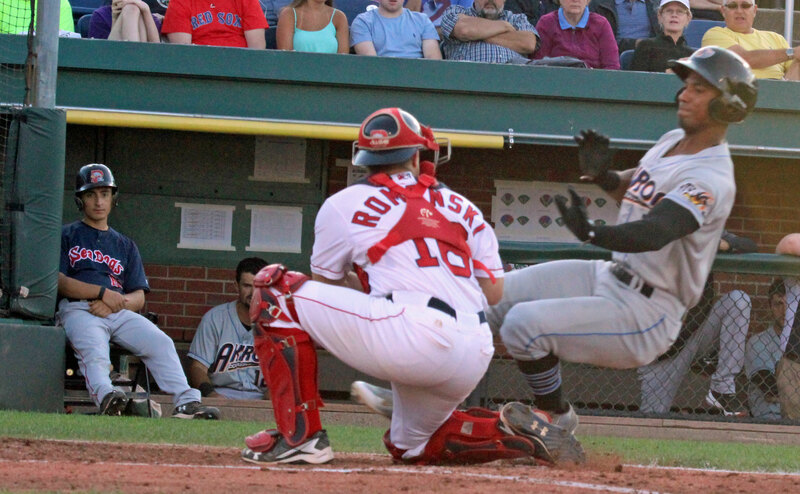 The Portland infield defense fell apart five different times worth five unearned runs and the home Dogs lost, 8-2, to the Akron RubberDucks on a sunny/windy Friday night. 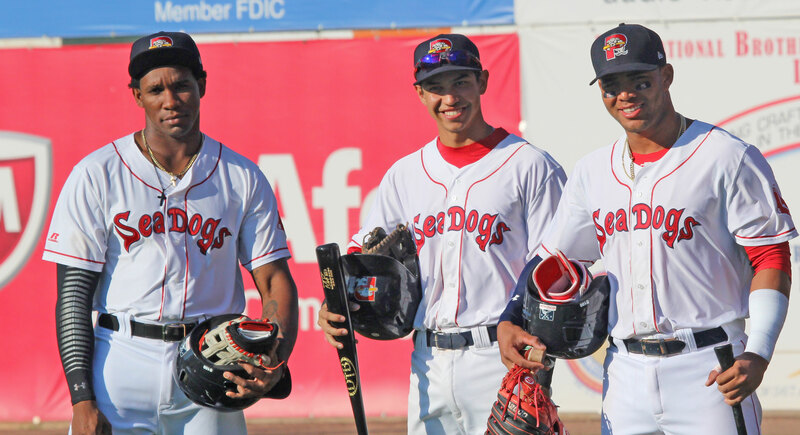 The last-place Sea Dogs (42-69) have struggled to put up the W’s all season. Some losses have been over a combination of deficiencies. Not tonight. The biggest culprit? 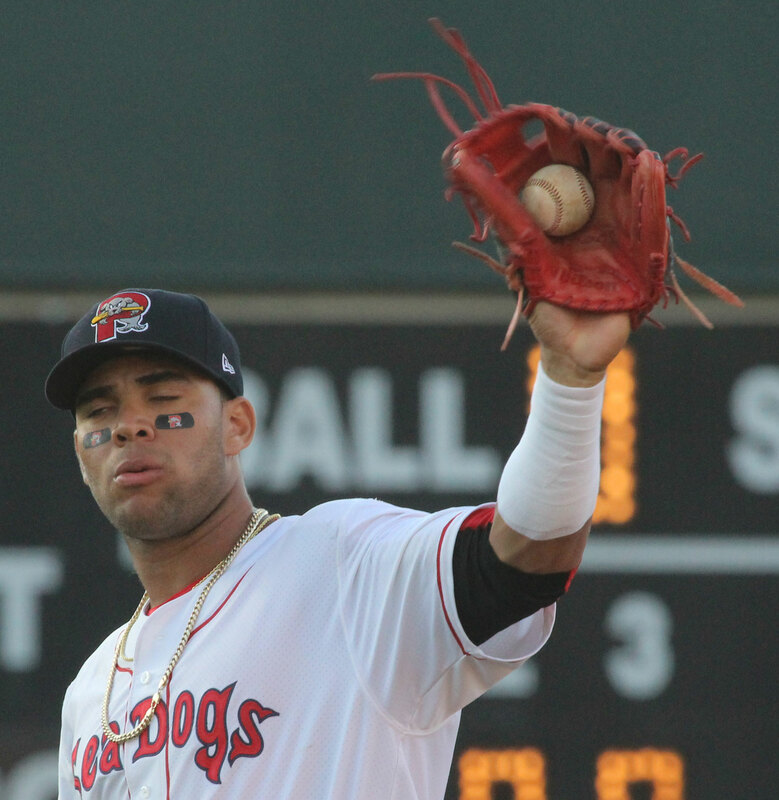 #1 Boston prospect 2B Yoan Moncada. Three times the 21-year-old fumbled grounders. 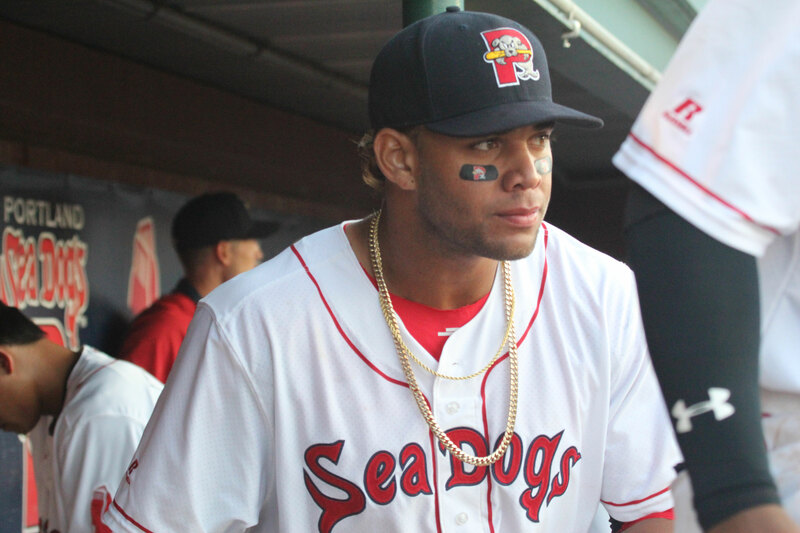 My primary reason for getting to Hadlock Field was for a last look at Yoan before he was promoted to Pawtucket or even to the Red Sox. After tonight, I have a feeling he’ll be staying in Maine for a while. 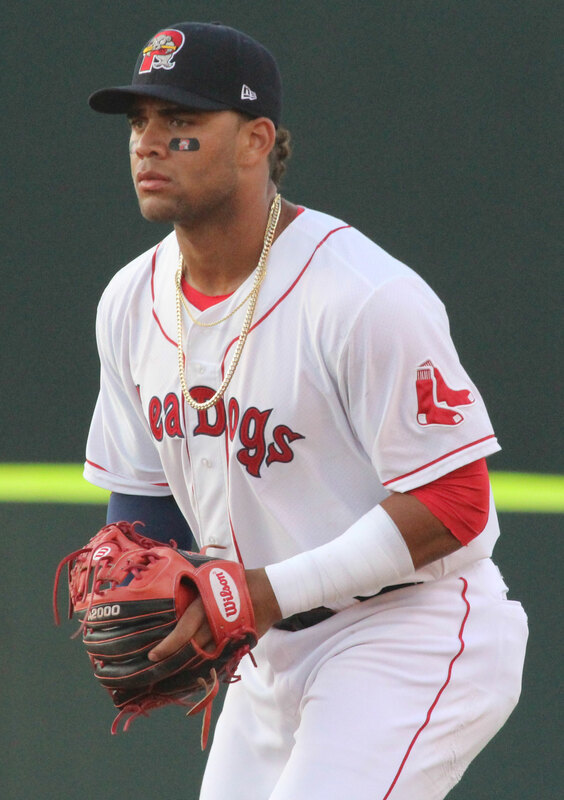 Interesting that there is talk of Yoan learning a new position because 2B in Boston belongs to Dustin Pedroia for the next five years. One game is a small sample but there is fielding improvement needed before any transitions by Yoan are made. Also with Yoan there continues to be hitting struggles from the right side. 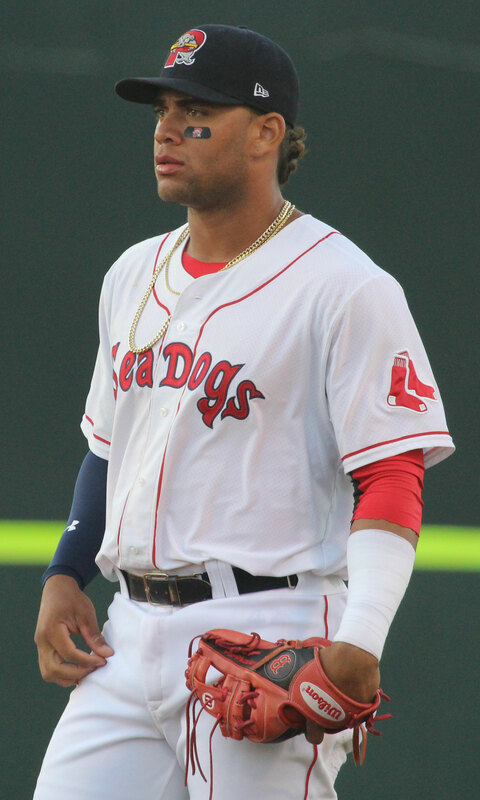 He is often linked to Andrew Benintendi but Andrew was hitting well and fielding well when he was called up. I am not certain at this point that Yoan has the handle necessary on either of those. “Teams have games like this. We’ll put it behind us and prepare for the next game.” We are talking about the minors where scores and championships are minimized. 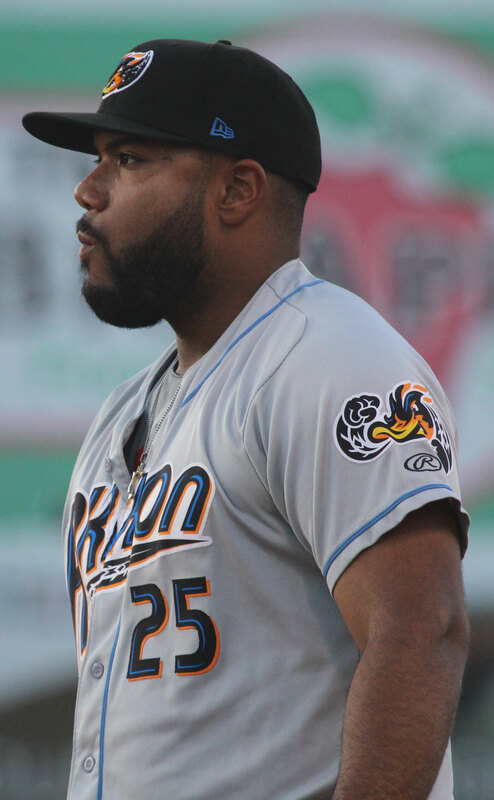 The RubberDucks “lost” their top two prospects in the past two weeks via promotion. 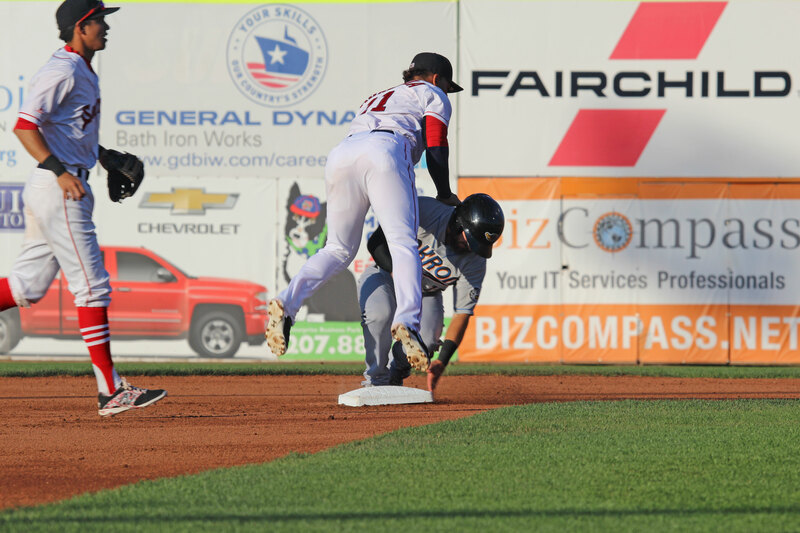 Tied for the top of the Eastern League West before the promotions, they are now six games back in the standings. 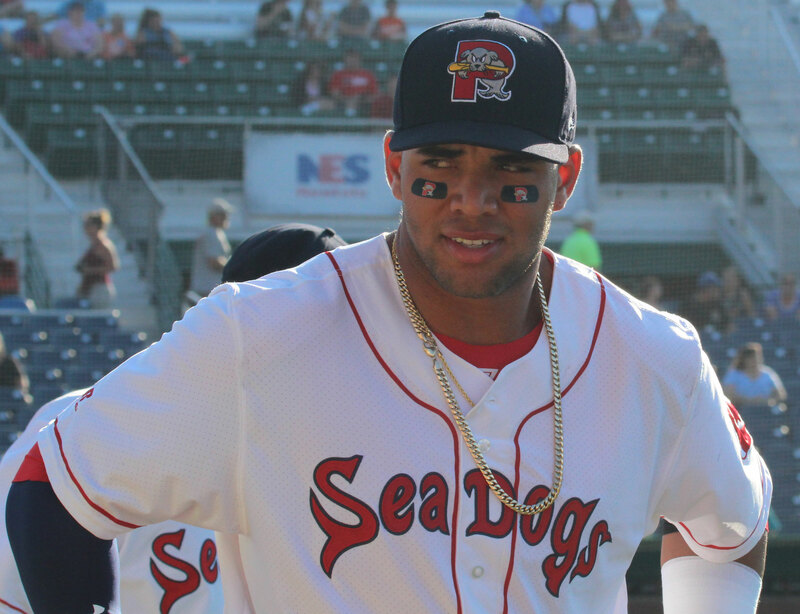 Also memorable in this game was that Yoan was injured during a caught-stealing at third base. 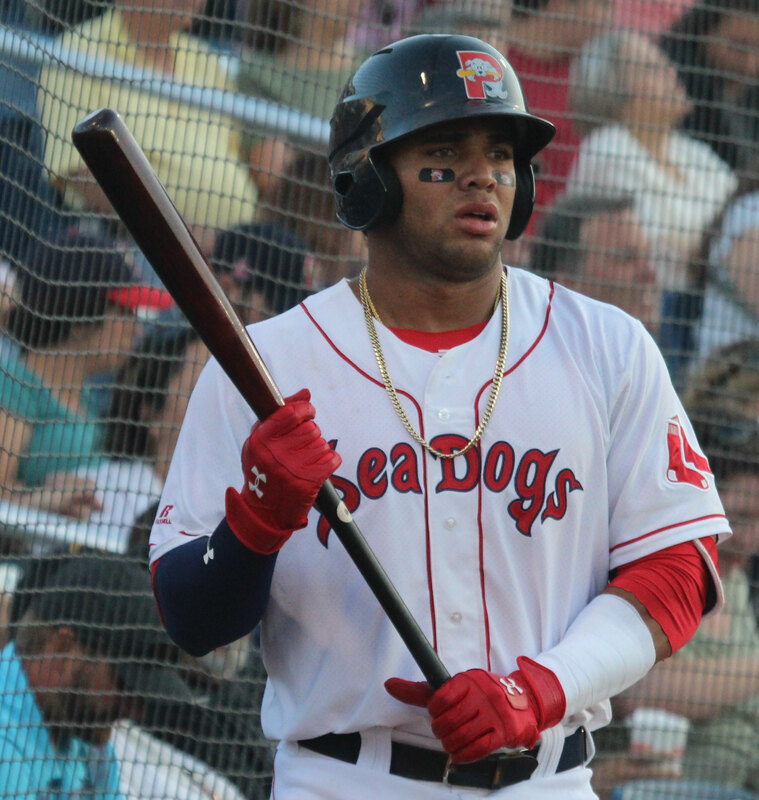 It appeared to be quite serious because he hit the bag hard but there was a collective sigh of relief in the Red Sox organization as Yoan was able to walk off with only a sore left ankle to deal with. 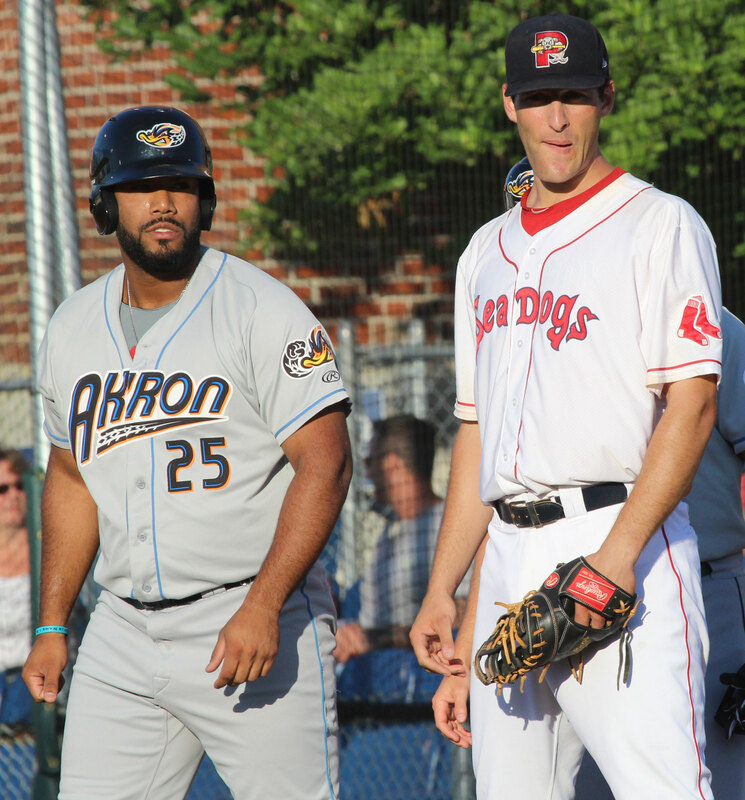 Akron’s top remaining prospect, Rob Kaminsky, was their pitcher in this game. He was a #1 pick by the St. Louis Cardinals in 2014. The lefty limited Portland to three hits. 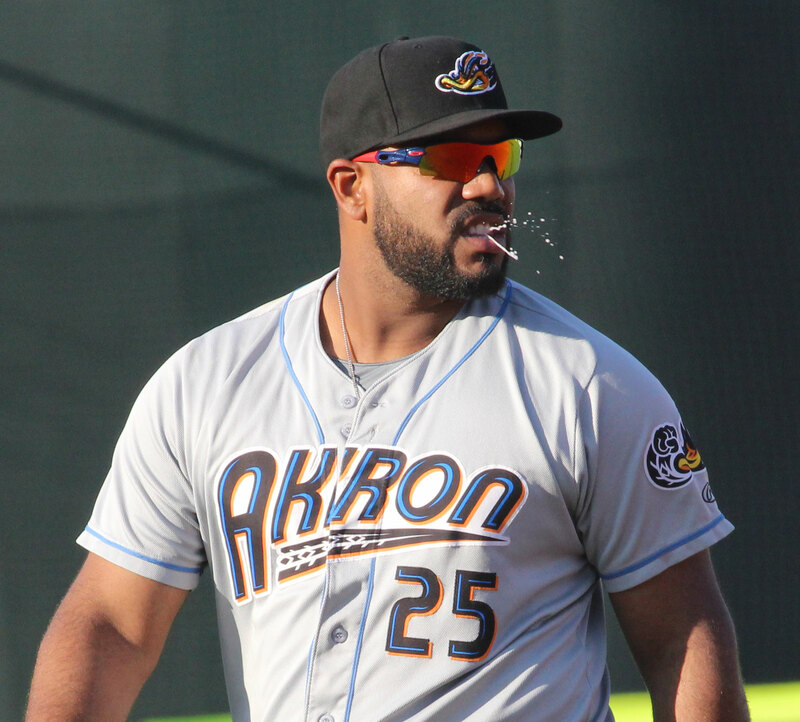 I was impressed with Akron first baseman Nellie Rodriguez. Only 22, he has a history of good numbers. 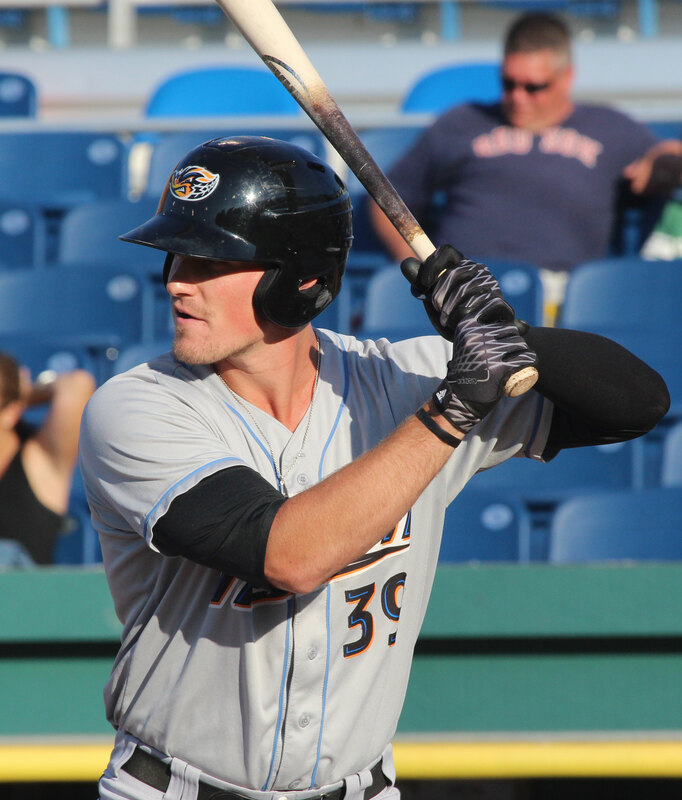 Led the Midwest League in hits and homers in 2014. 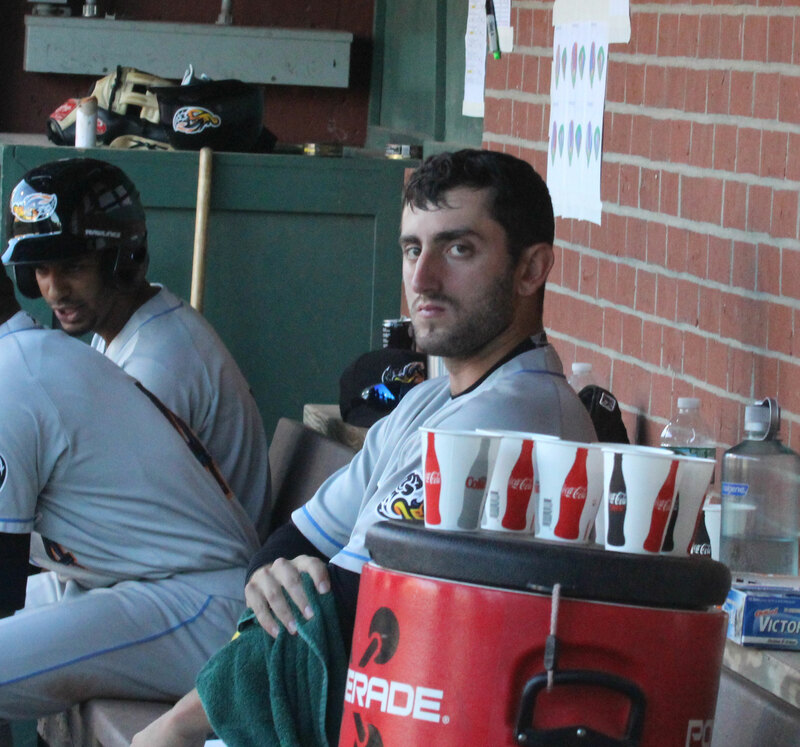 Led the Carolina League in homers and RBI in 2015. 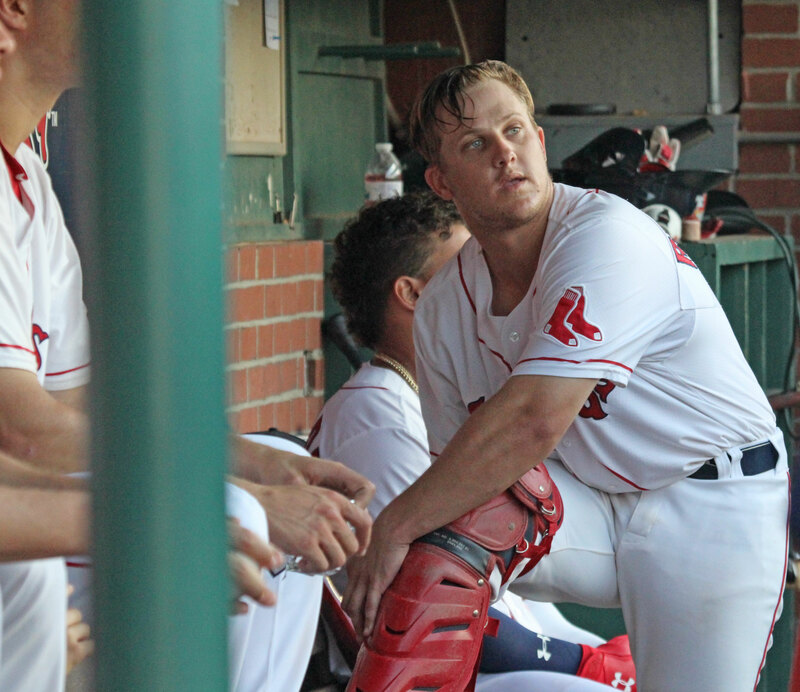 Nellie is currently 4th in the Eastern League in homers and extra-base hits. What will slow his rise to the majors? 150 strikeouts. 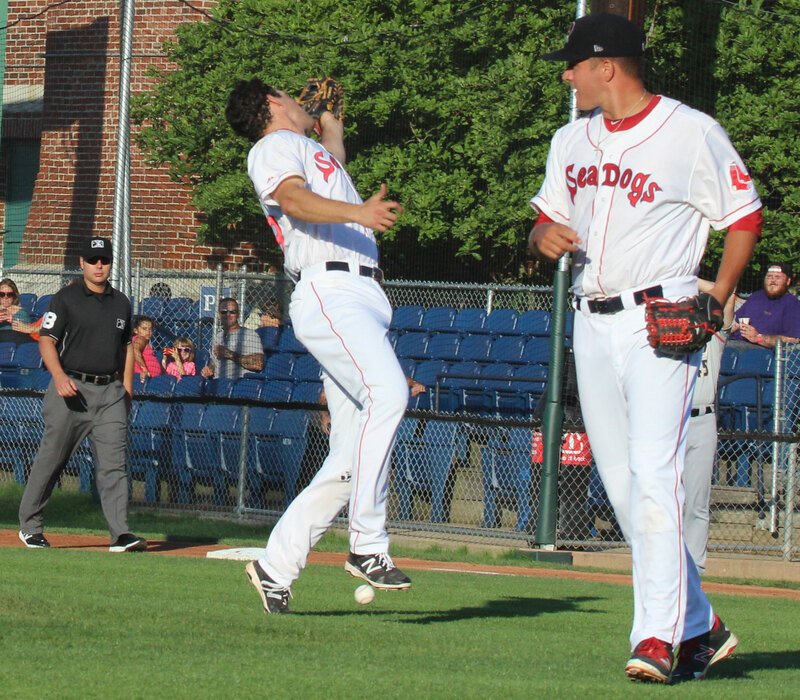 Portland’s Aneury Tavarez must be getting the eye of higher up’s in the Boston front office. 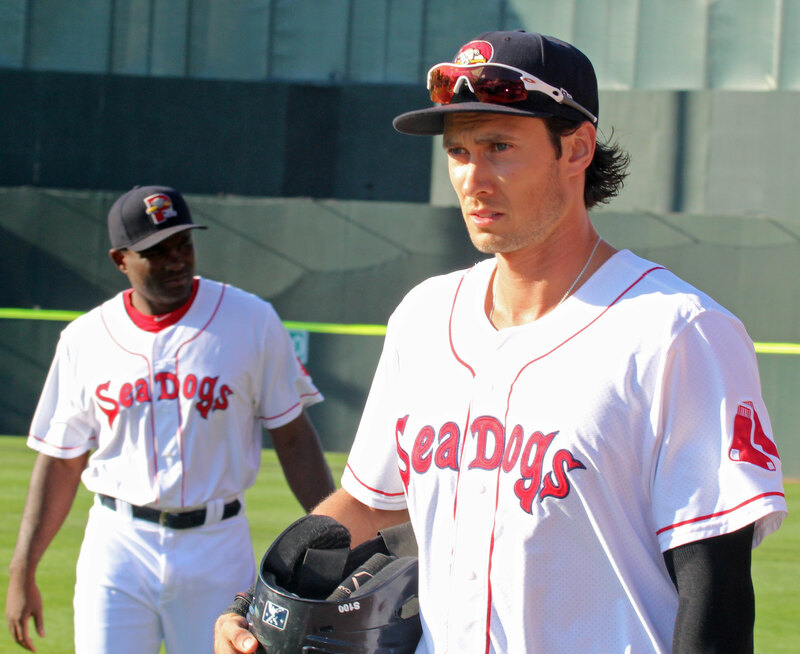 The Sea Dogs’ right fielder is near the top of the EL batting leaders at .323. He had three hits this evening against Akron. Disappointed in Slugger tonight. I always root for him at the start of each race. He is always the underdog because he runs against kids. For some reason on this night the big guy chose to impede the progress of the speedy girl he was up against. He squared himself to block her path near second base but the clever opponent darted through his legs. The move dazzled Slugger. In fact, for a second or two he had no idea where she had gone! That momentary confusion, plus the girl’s significant running skills, doomed Slugger. I just never thought he would even consider cheating to win but I saw it with my own eyes. Shame on him! Thanks to Chris Cameron for arranging the visit. Not too many home games left and they are all in August. Good take. 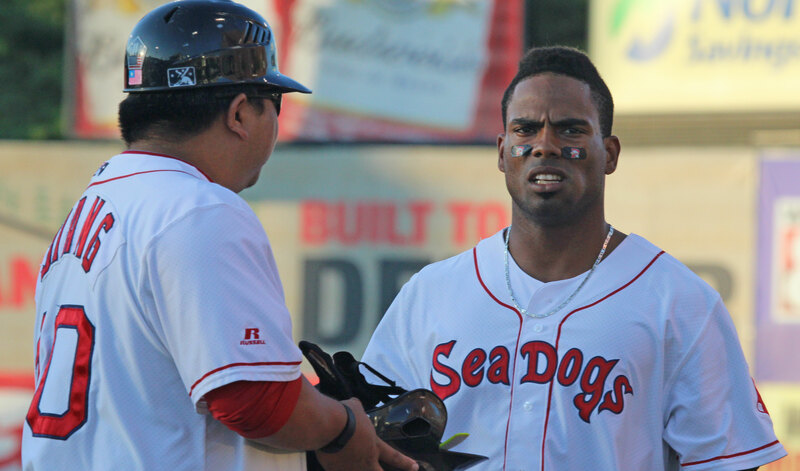 Aneury Tavarez is hitting .323 for Portland.